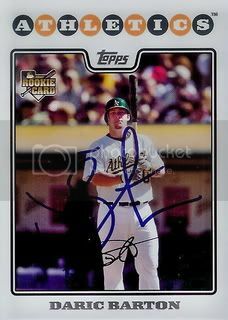 If you ever get a non 2008 Topps autograph of Barton, my better half would love to add it to her collection. Hi Ryan. I'll see what I can do.